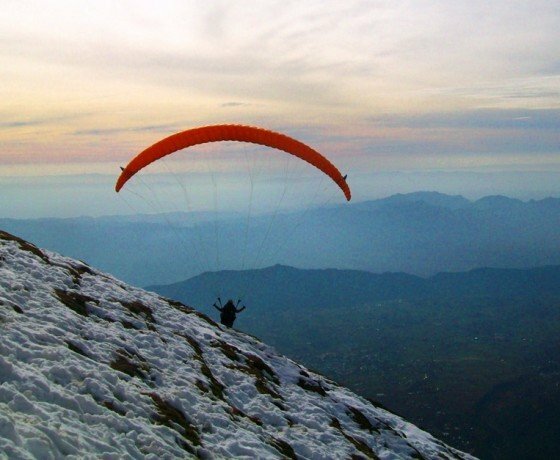 Paragliding flight to Triund from Bir Billing-3 hour flight. 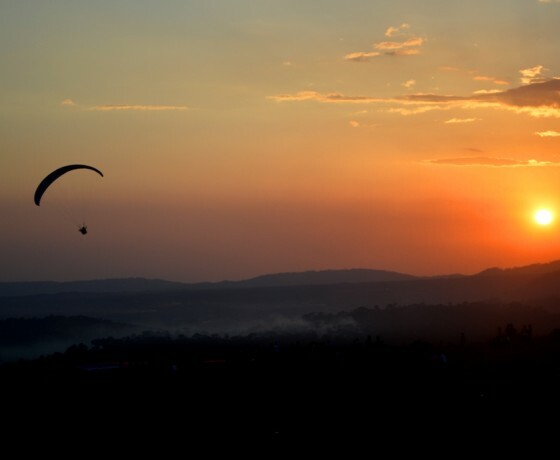 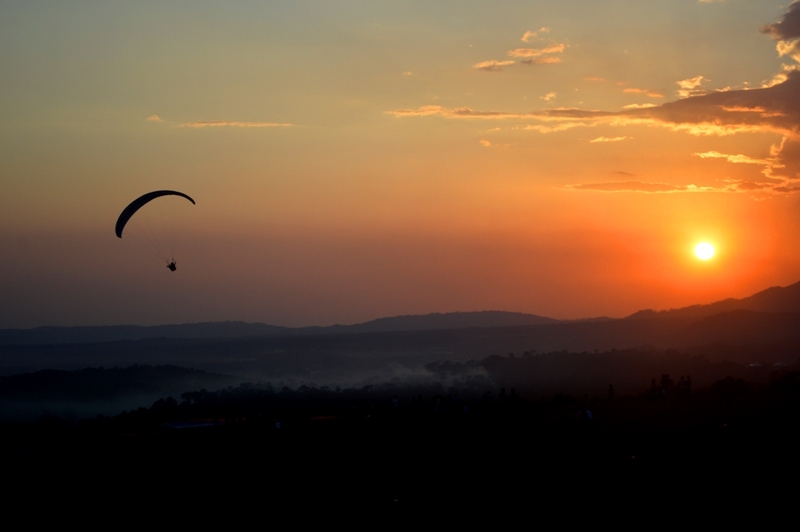 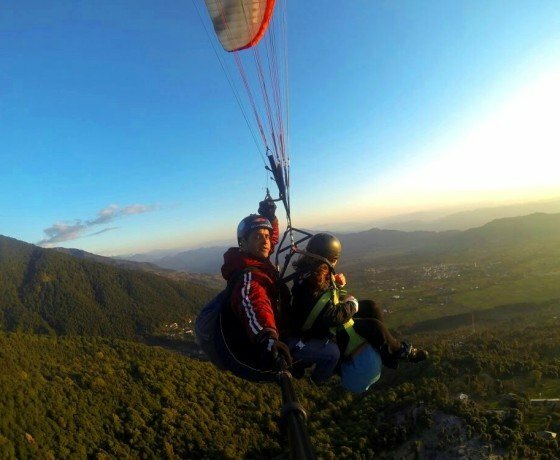 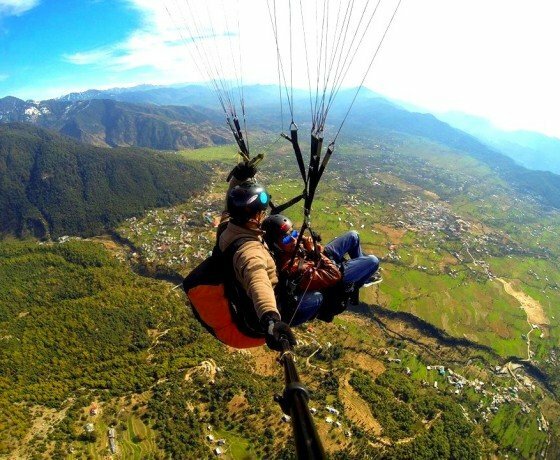 Package : 3 hour paragliding flight. 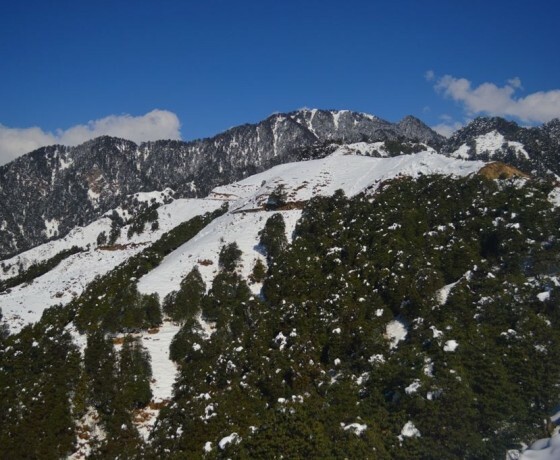 Season: March – May and Oct to Mid December. 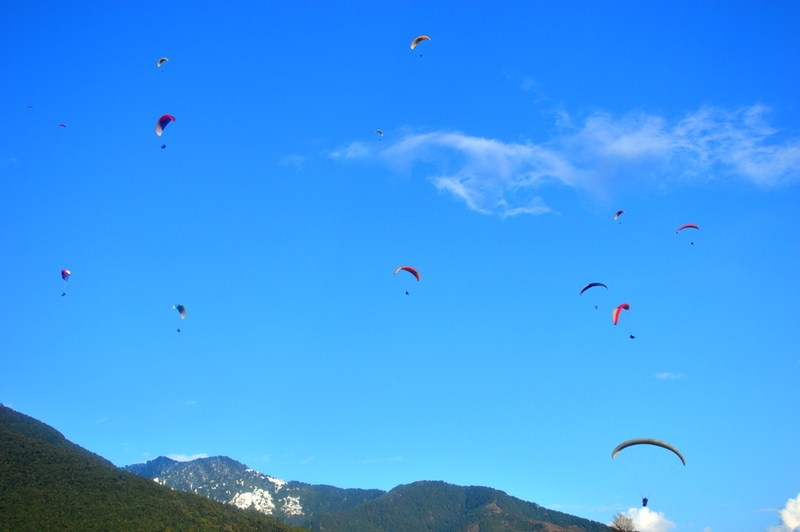 Activity : Tandem Paragliding flight. 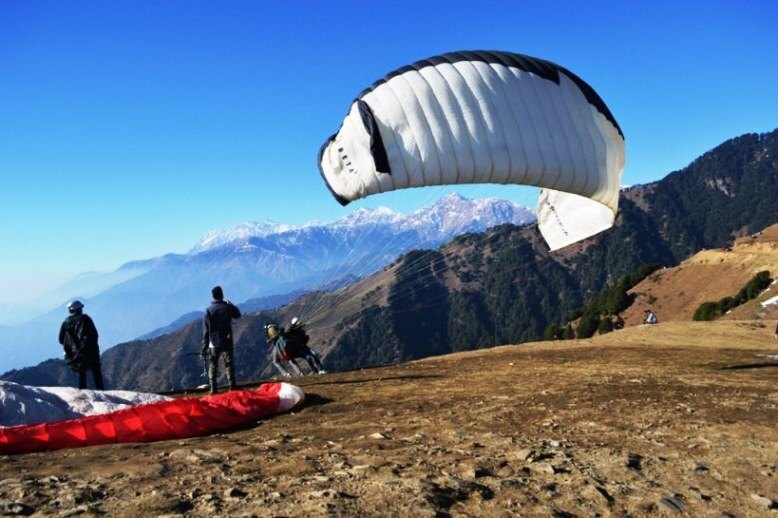 Takeoff site: 8900 ft. from sea level. 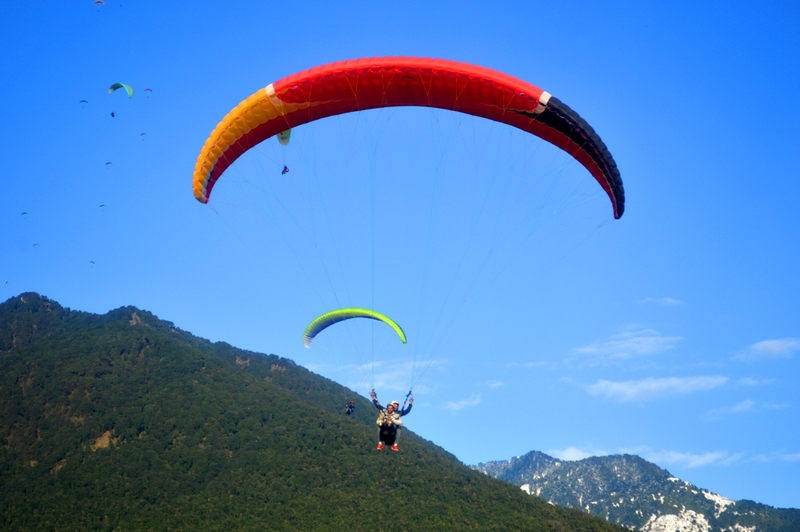 Cross country Paragliding flight to Triund From Bir Billing and Return. 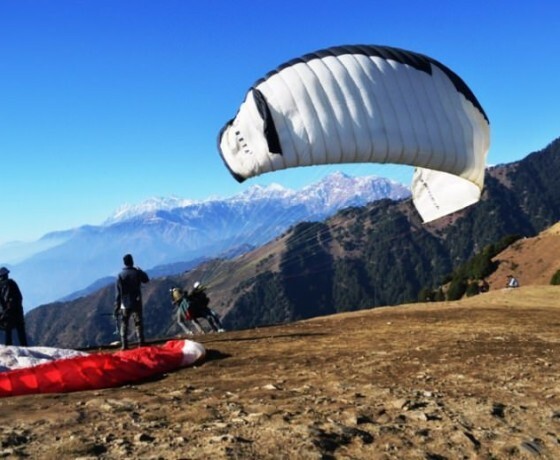 Paragliding with Arvind Paul’s Team with best pilots. 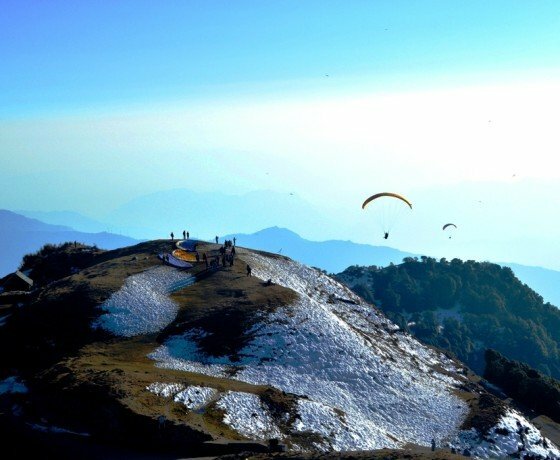 Pilots for cross country flights: – Mr. Arvind Paul, Mr. Yash Paul & Rama ji. 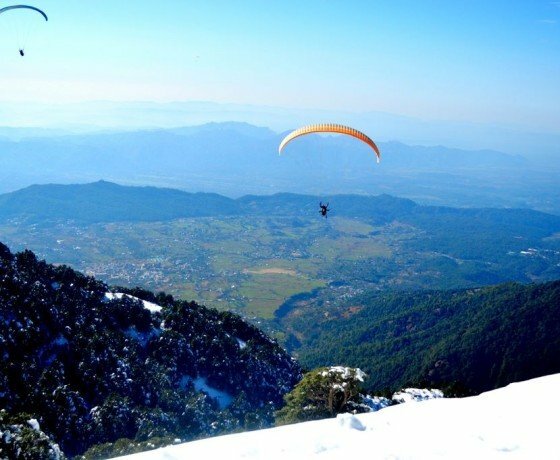 Route:- Billing-Barhani–Birni Devi–Old Himani Chamunda–Triund Hill and Back – 3 hrs. 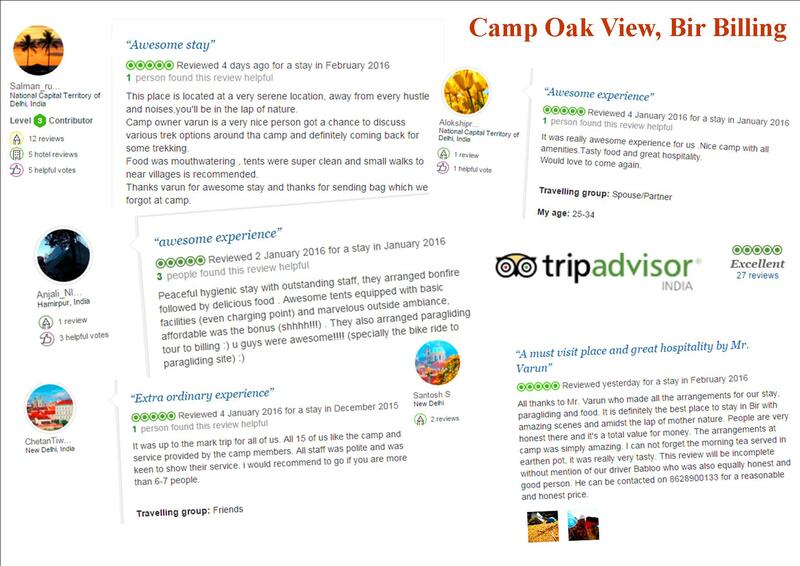 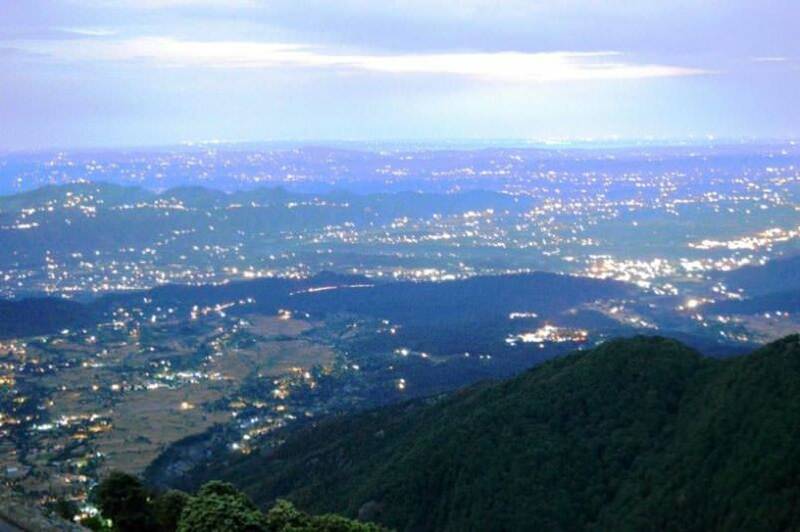 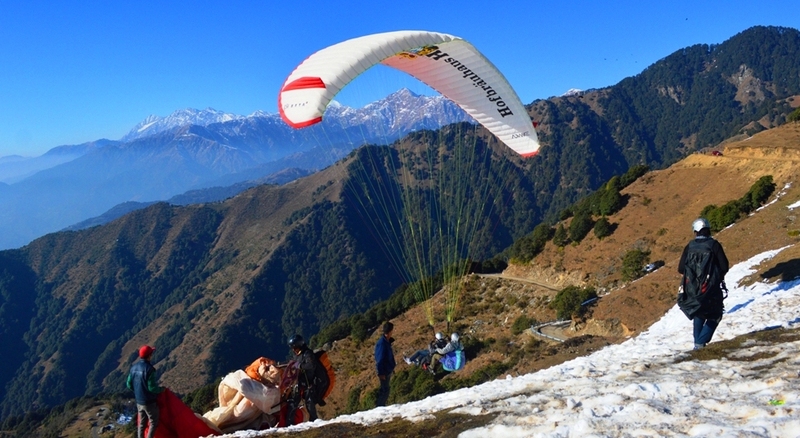 Highligts :- May spot wild life, shepherds, Views of Snow covered Dhouladhar mountain range, Last point is Triund hill. 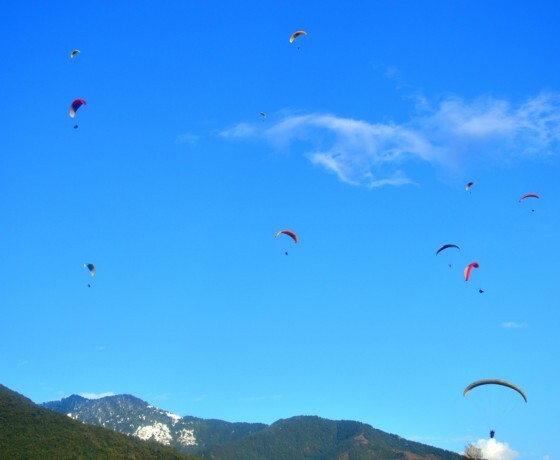 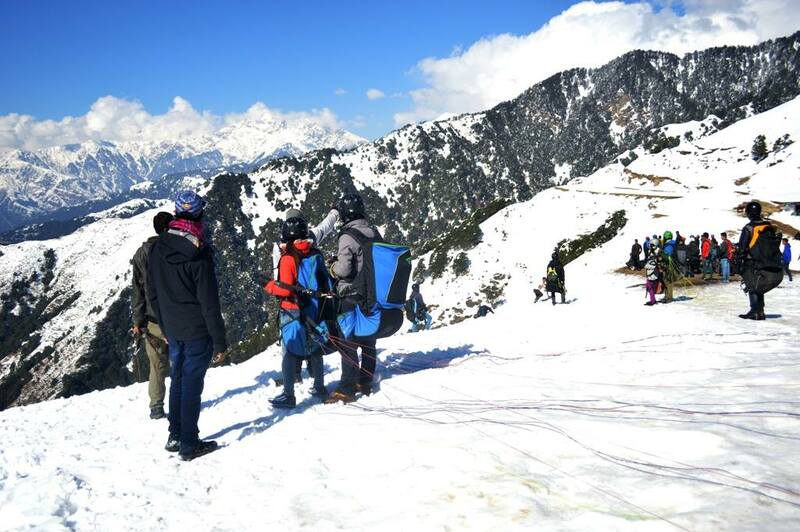 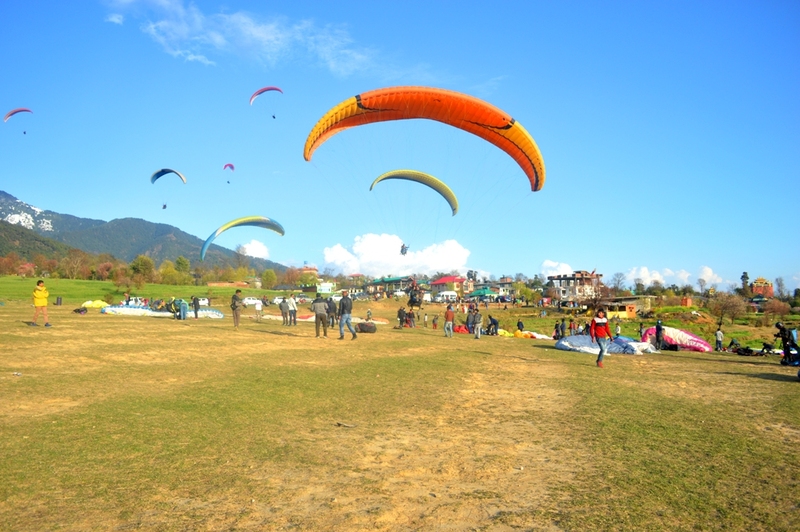 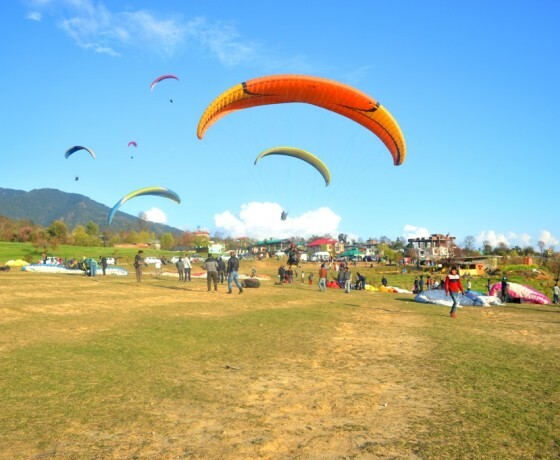 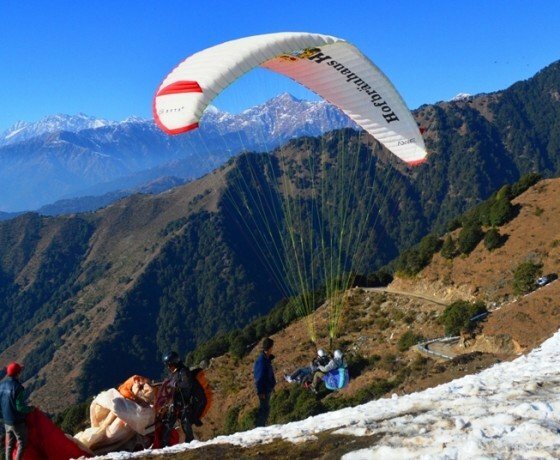 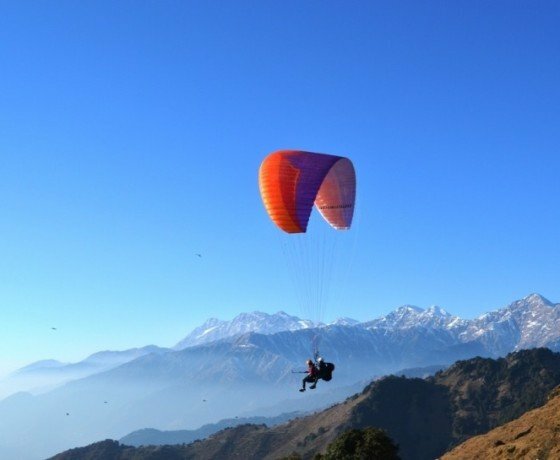 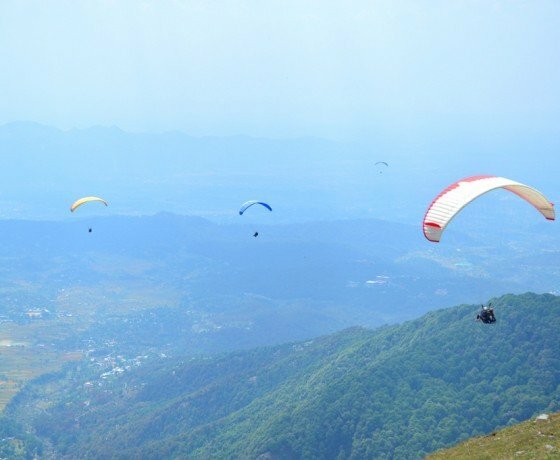 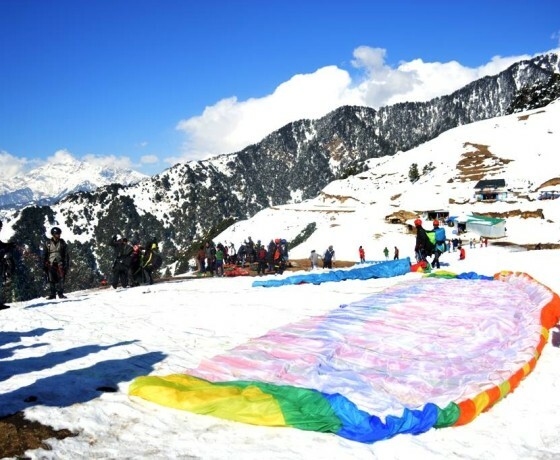 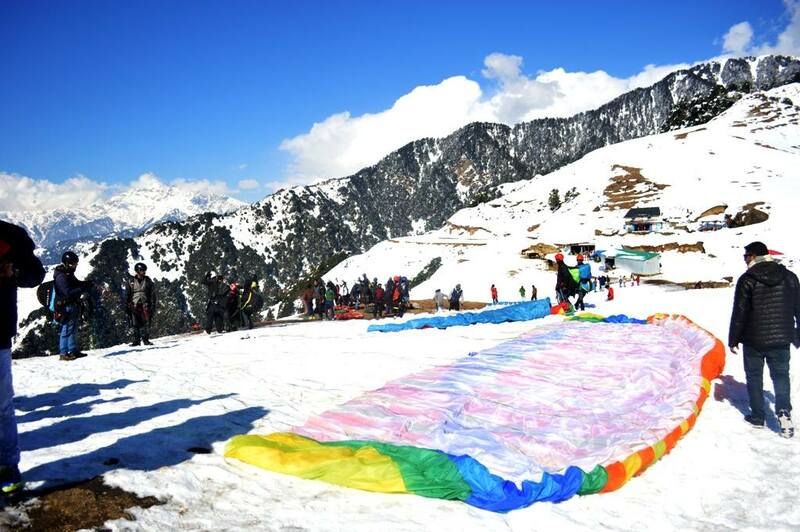 Paragliding flight start from Bir Billing and back, paraglider may land at Dharamshala, Palampur on the way back if wind is not suitable and thermals gets low and drive back. 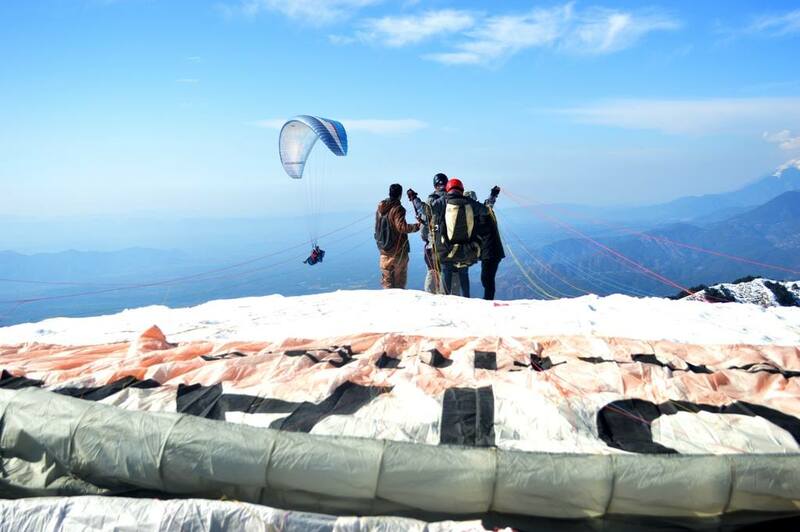 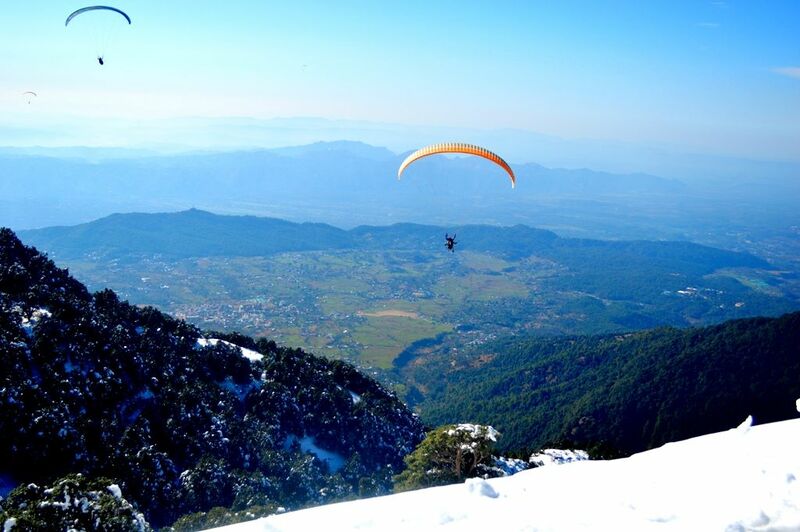 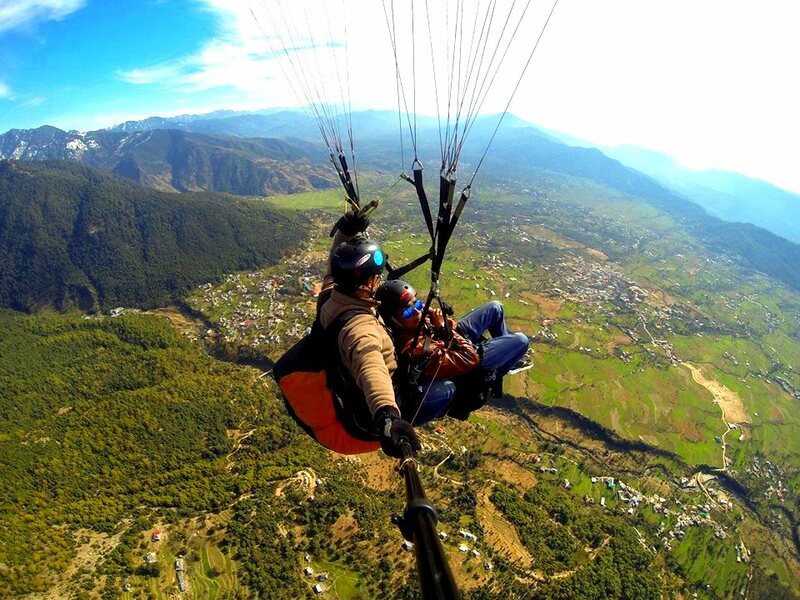 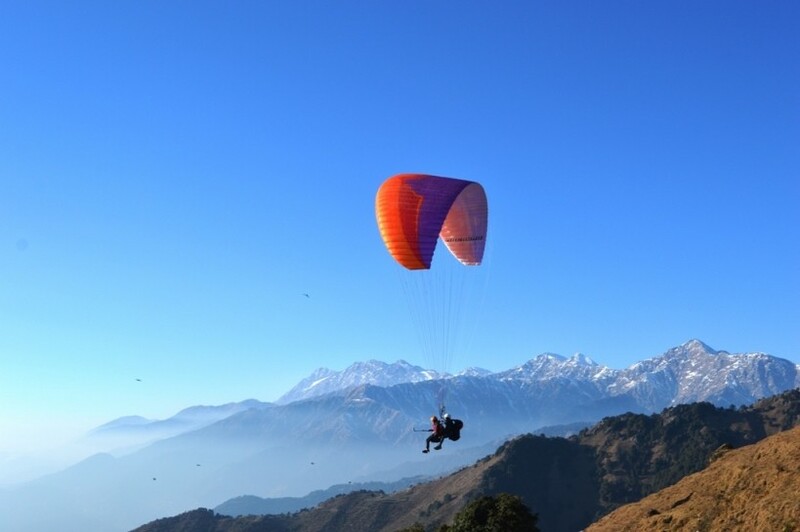 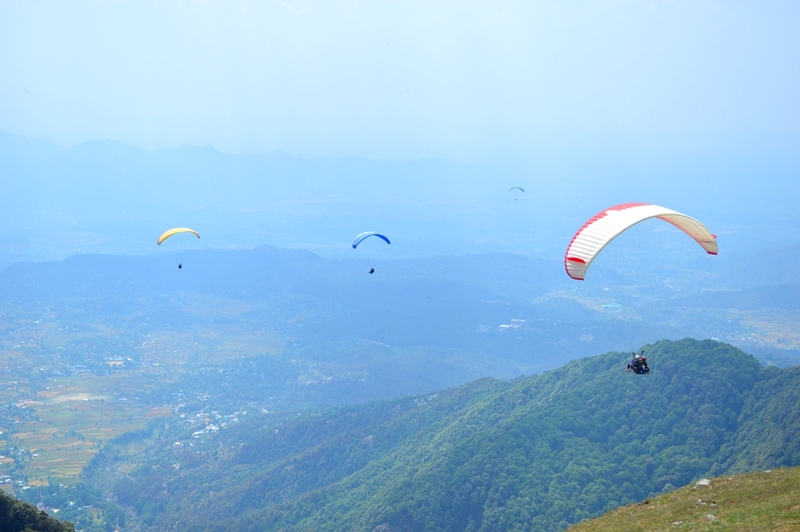 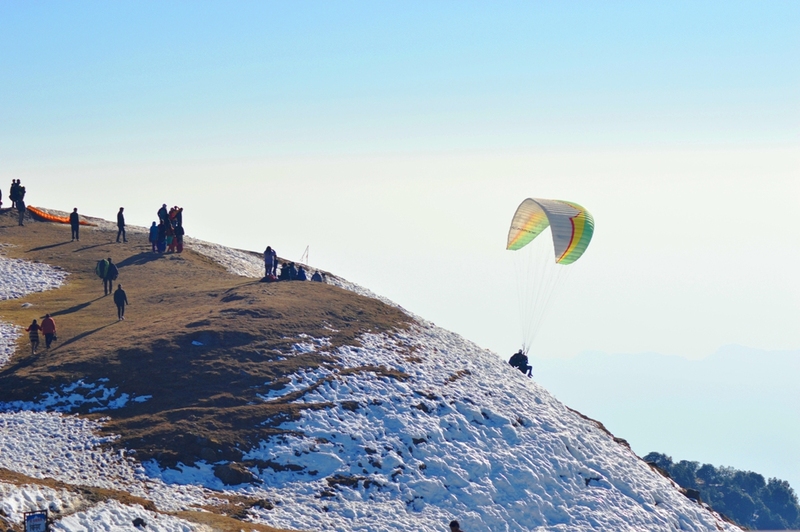 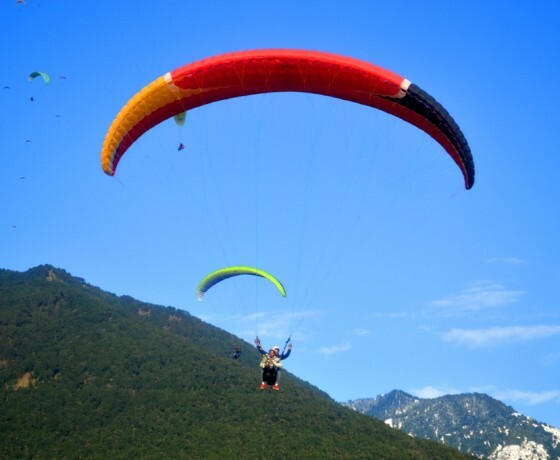 Tandem paragliding to Triund/ Dharamshala is one of the longest flights we offered to our guests. 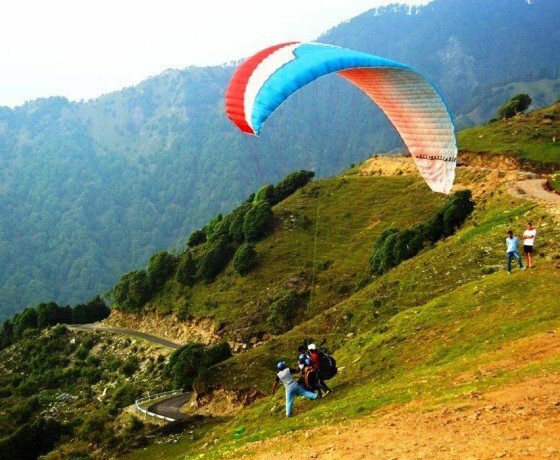 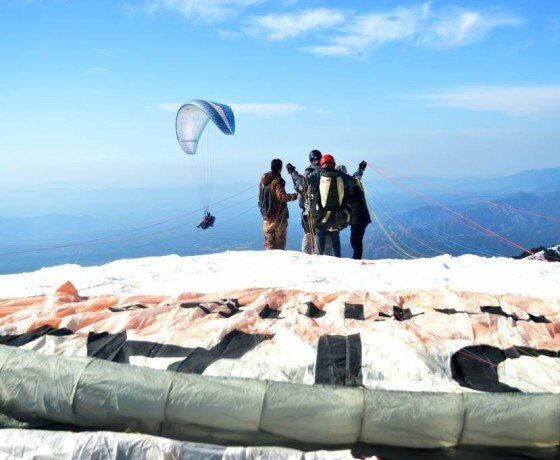 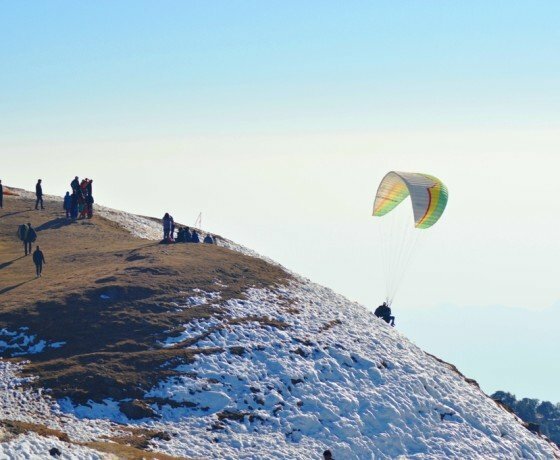 Paragliding flight to Triund from Bir Billing is cross country and need special skills to fly cross country and only few pilots are doing it tandem. 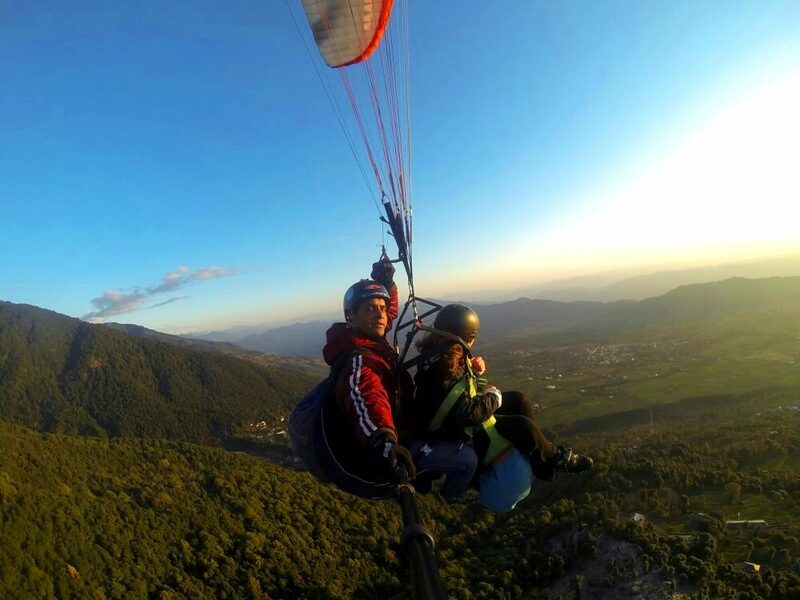 We have some top pilots with international ranking and flying with them for long flights. 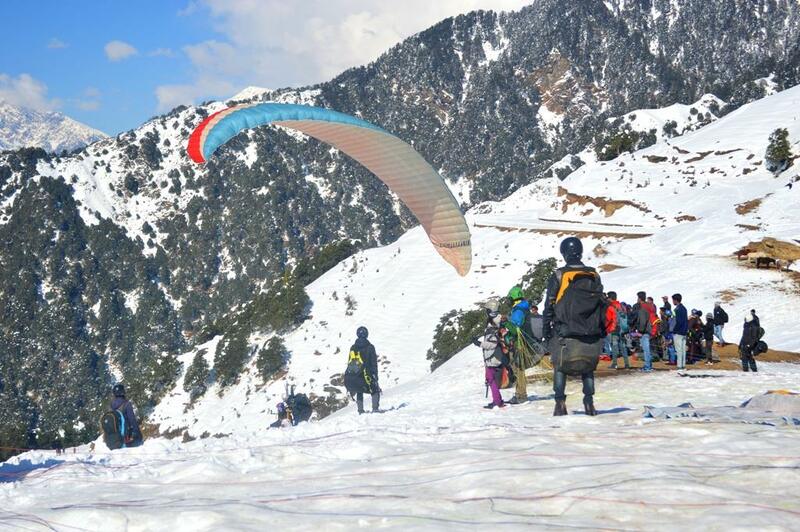 Triund is one of the famous trek in Himachal at Macleodganj/ Dharamshala. 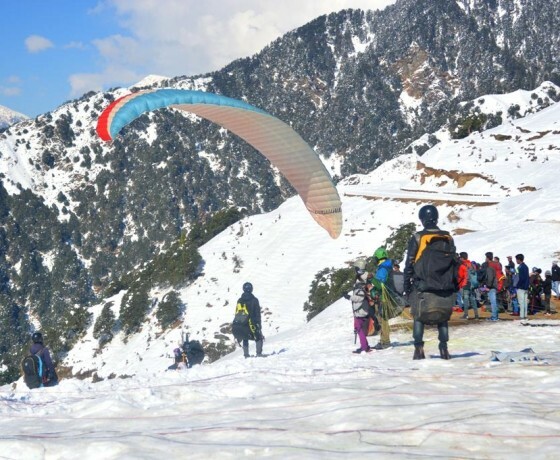 One can reach Triund which is 2950 mts from sea level at 12 km/4-5 hr. 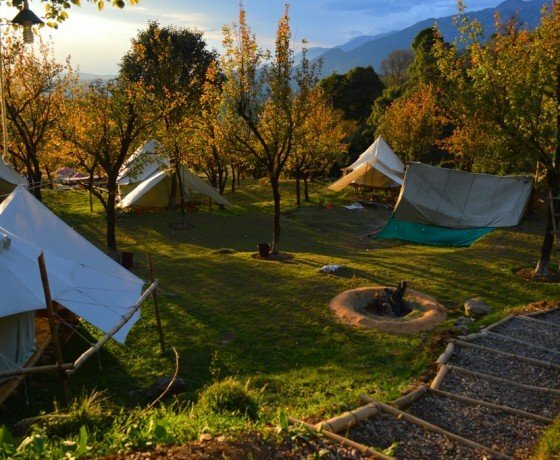 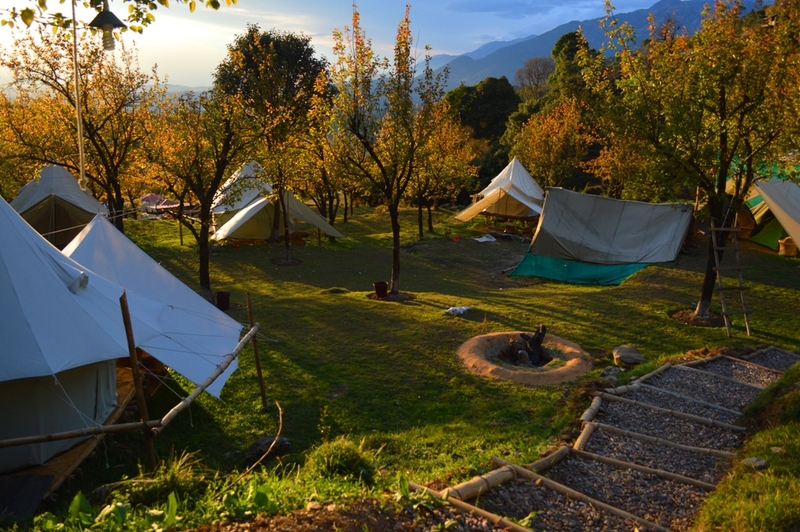 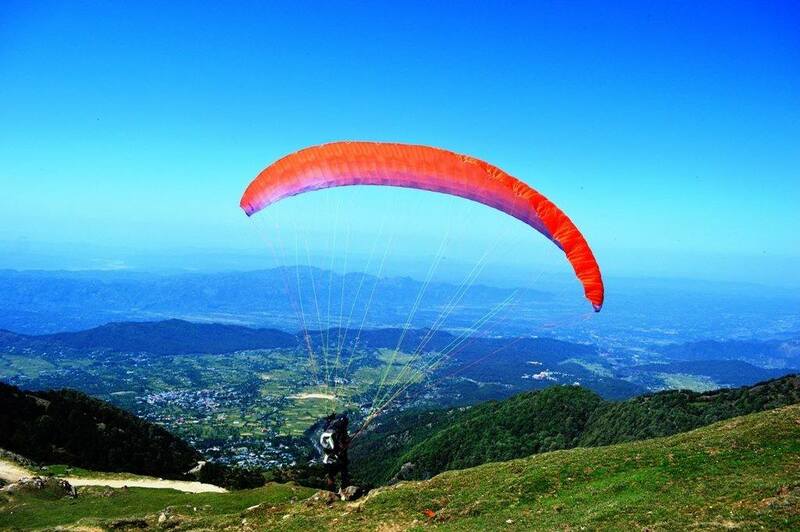 trek away from Macleodganj. 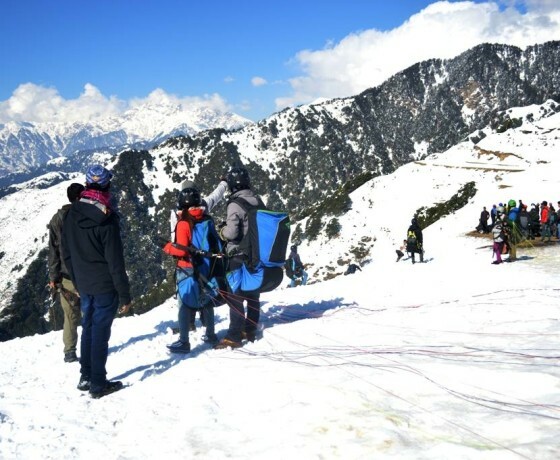 Trek from Macleodganj to Triund is a small section of trek which is leading to Chamba and used by shepherds during their yearly movement to higher grazing fields with their flocks. 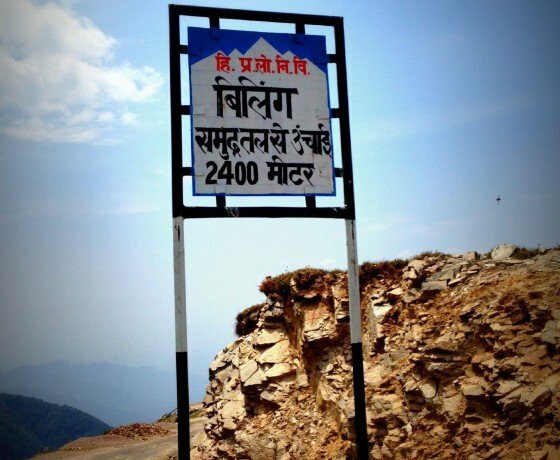 If you want to reach Triund then the you need to start drive from Bir Billing and drive for 70 km/2 hr. 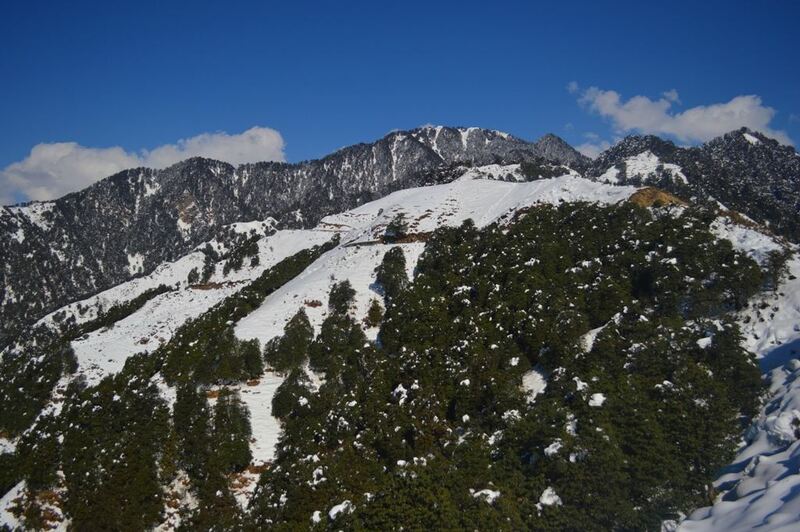 till Dharamkot/ Macleodganj and then 12 km/4-5 hr trek. 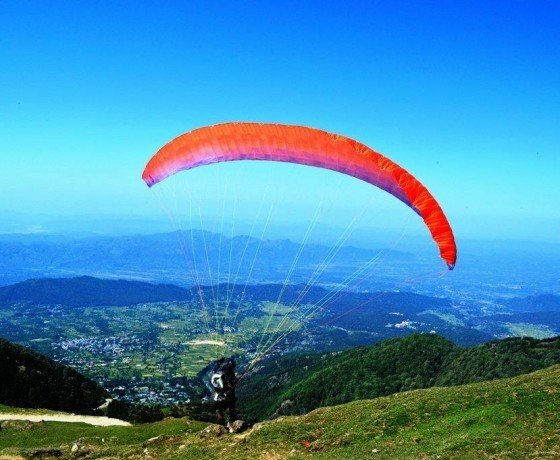 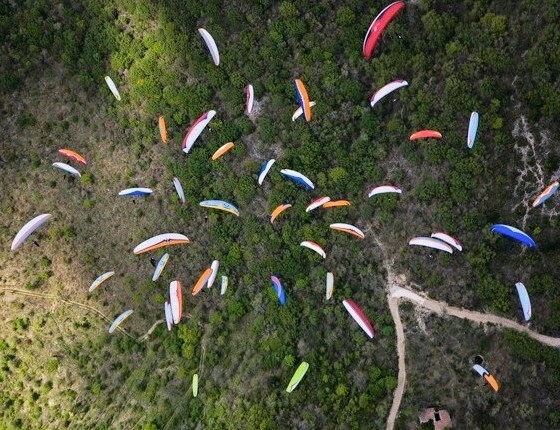 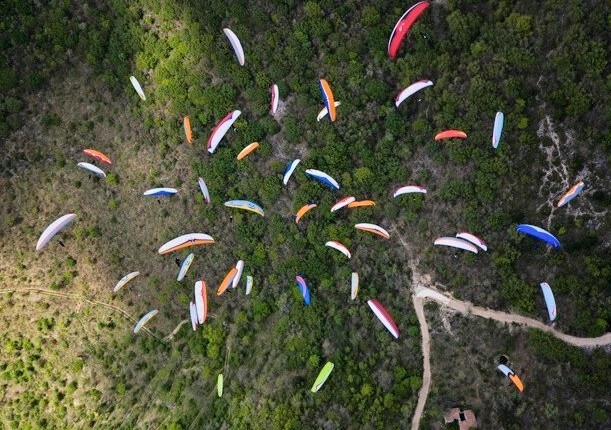 By Paragliding journey is only 3 hr. 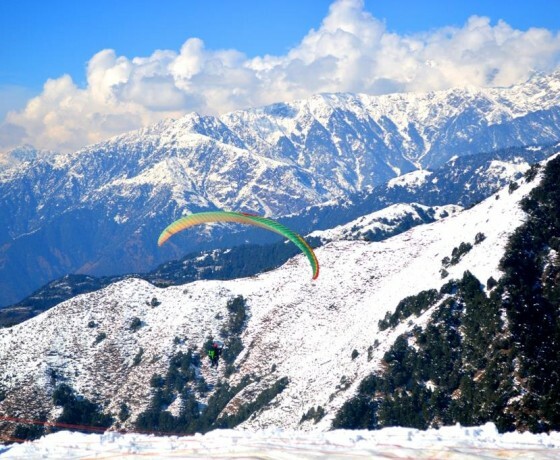 to fly to Triund and return back. 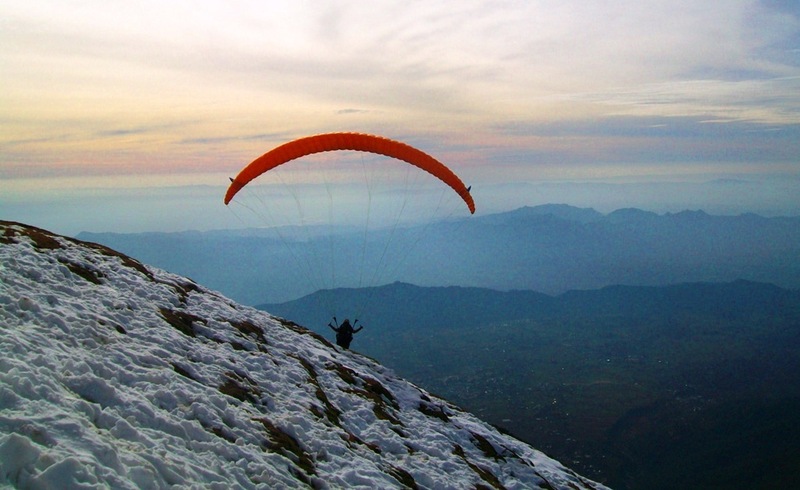 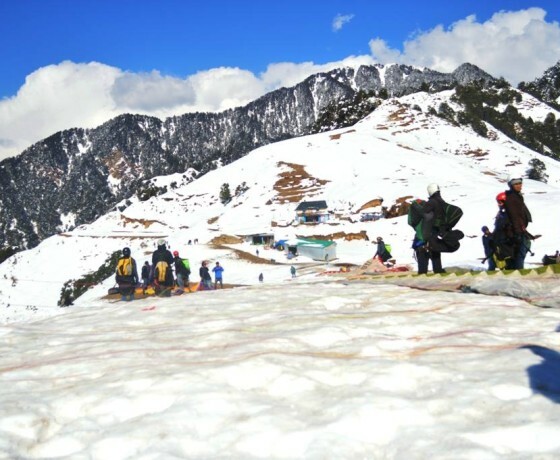 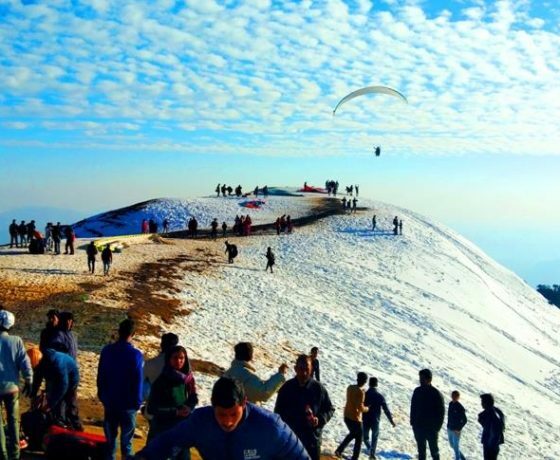 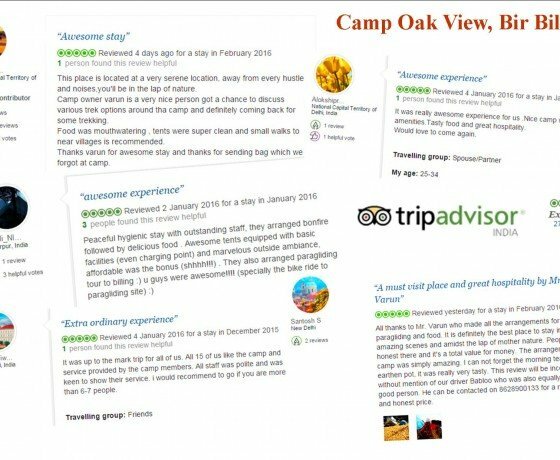 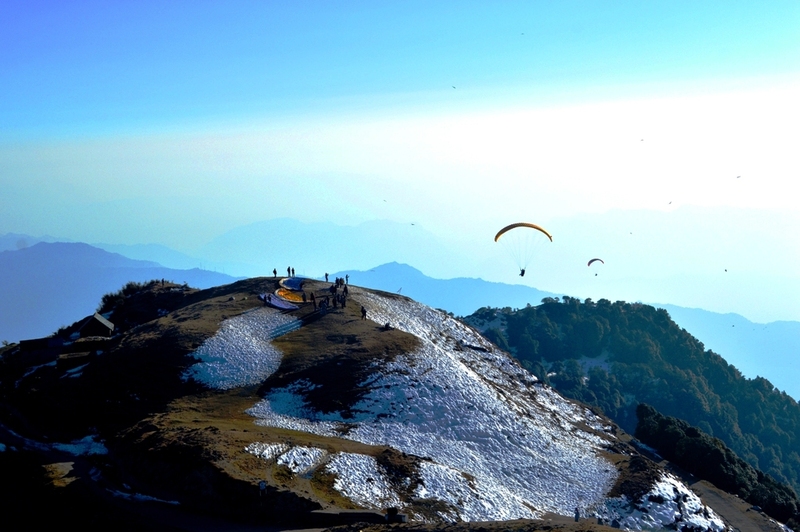 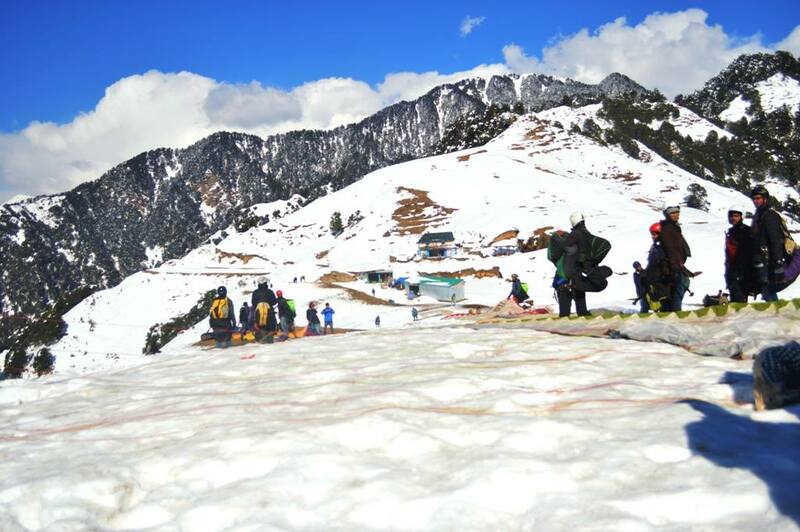 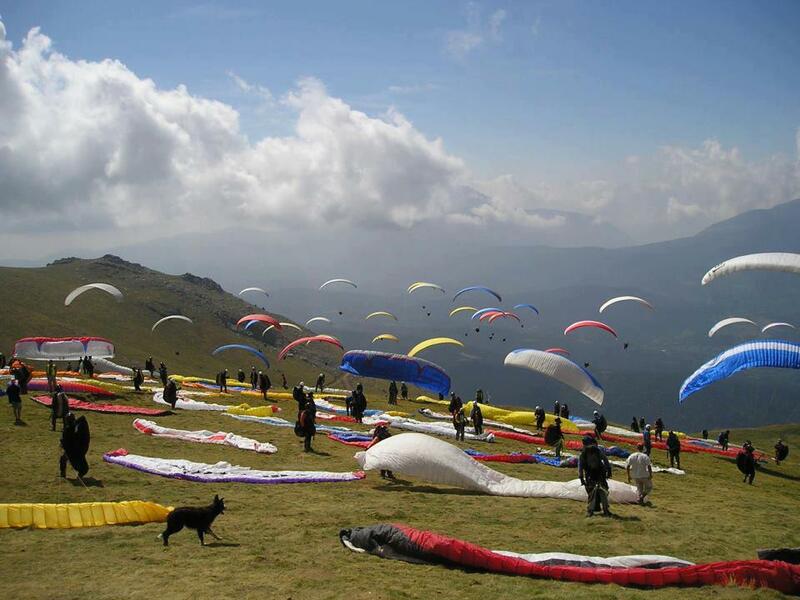 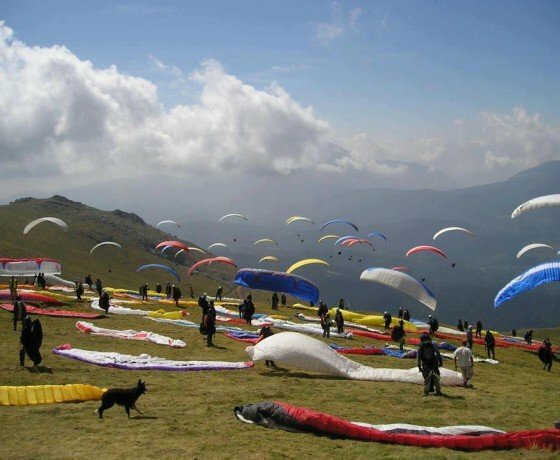 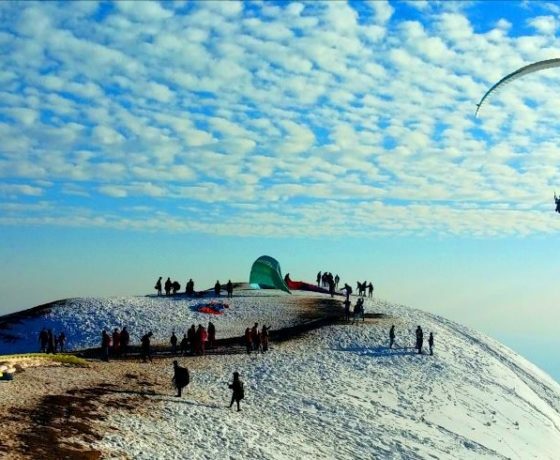 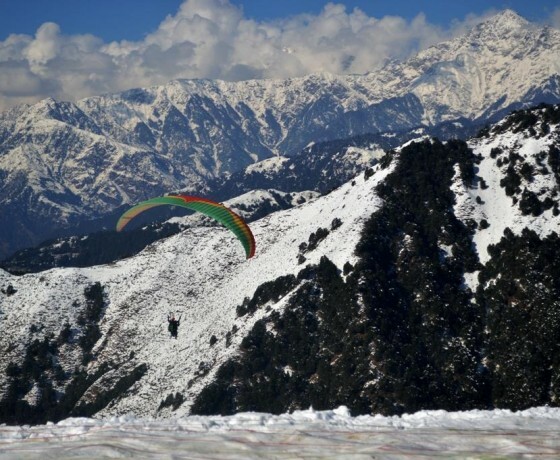 Bir Billing is one of the best paragliding destination in India and considered as 2nd best destination in the world. 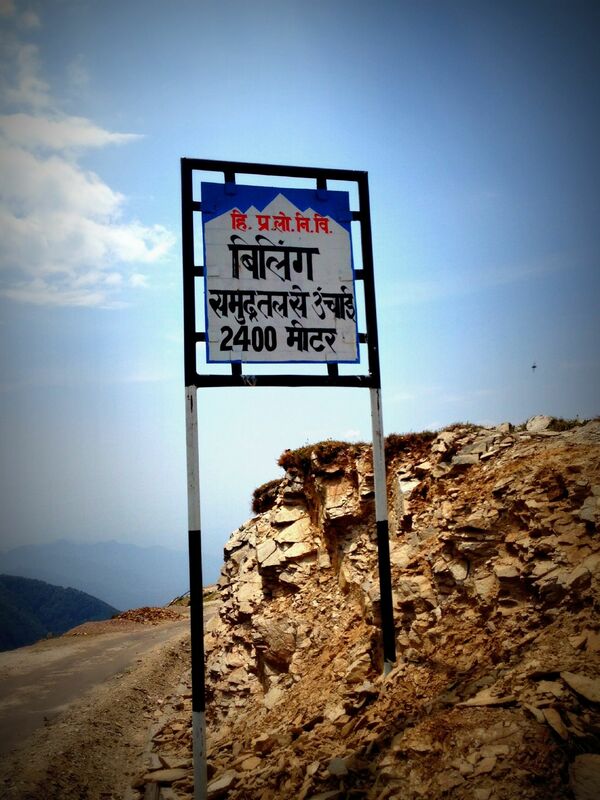 Bir Billing is place located 550 km. 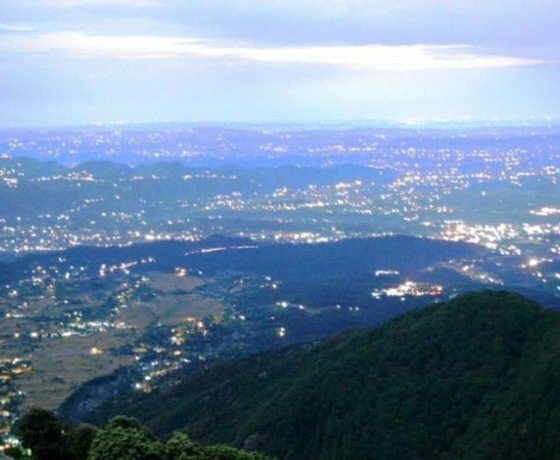 away from National capital Delhi, 170 km. 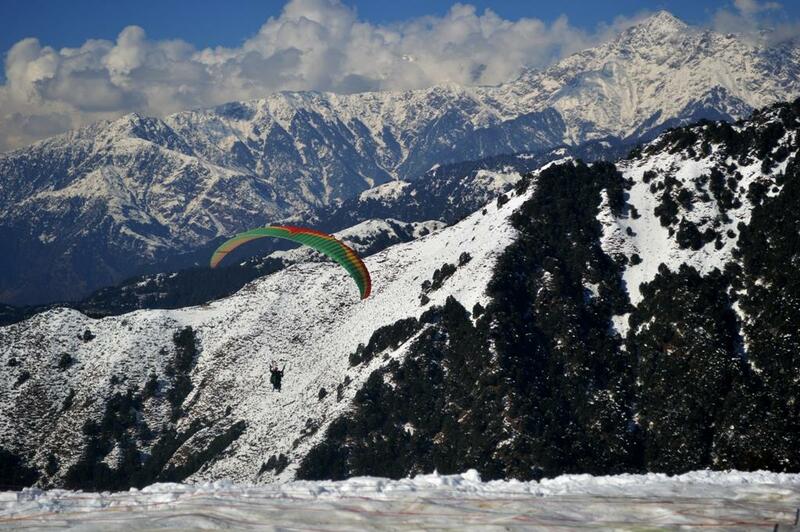 from Manali and 70 km/1 hr. 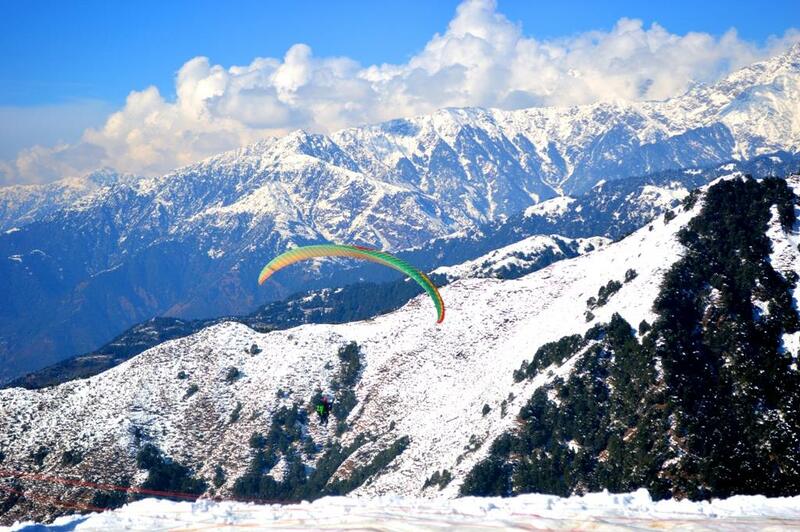 from Dharamshala. 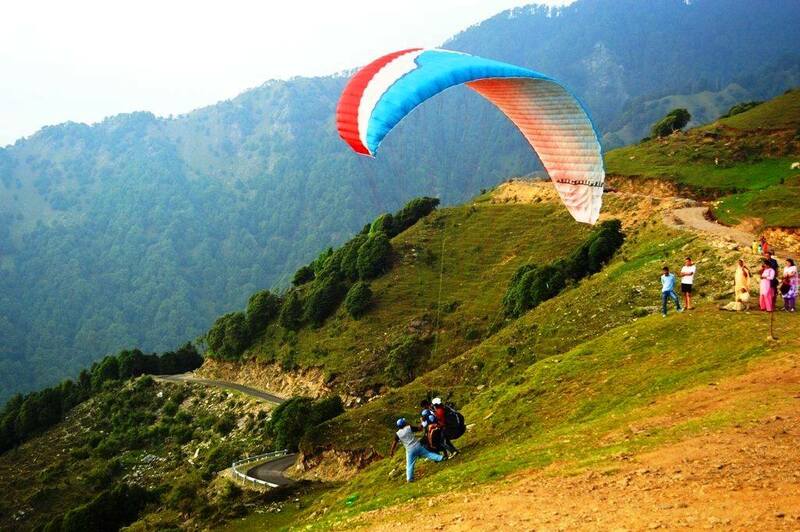 3 hour Paragliding flight to Triund from Bir Billing.